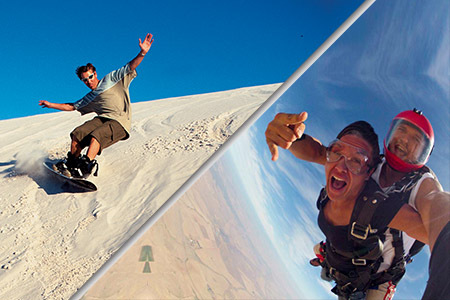 This combo Sandboarding & Tandem Skydiving adventure kicks off on the dunes. 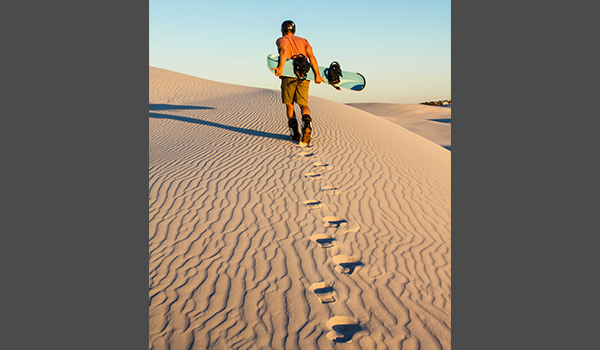 Our expert guides will make sure that you become proficient in the art of Sandboarding, an addictive adrenaline sport that is taking the world by storm. 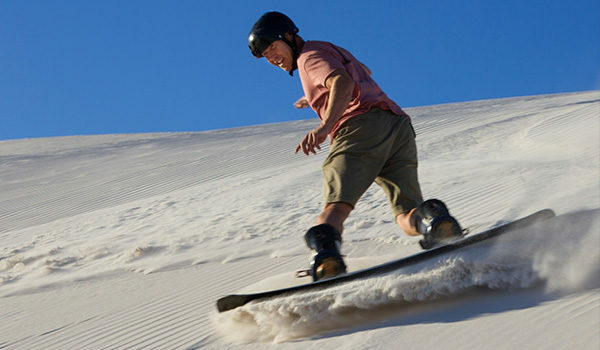 The best part about Sandboarding: it is easy to learn which makes it truly accessible to the absolute beginner. We’ll take you to the largest dunes in the Cape where our expert instructors will teach riders the proper technique to ensure safety and ease of learning. After mastering the basics of Sandboarding under the African sun, we’ll shake off the sand and prepare for one of the most thrilling experiences in the world: Tandem Skydiving. 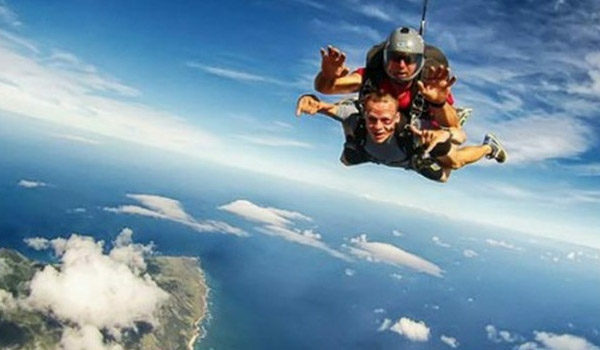 Skydiving is the ultimate adrenaline sport. Jumping out of an aeroplane at almost 10 000 feet above Cape Town and free falling for 25 to 30 seconds at 200 km per hour will absolutely blow you away. 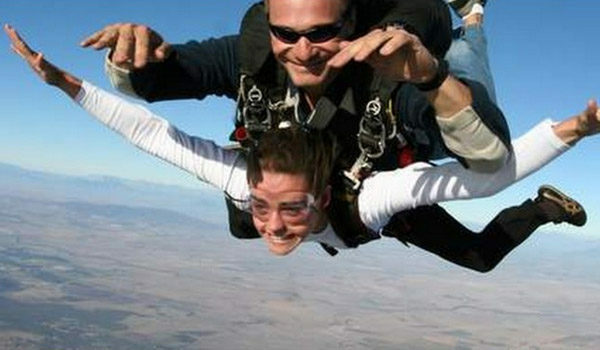 This much adrenaline should be illegal! The sheer rush of the free fall is combined with one of the most stunning aerial views of Cape Town, Table Mountain and Robben Island on a 4 to 5-minute parachute ride back to earth. 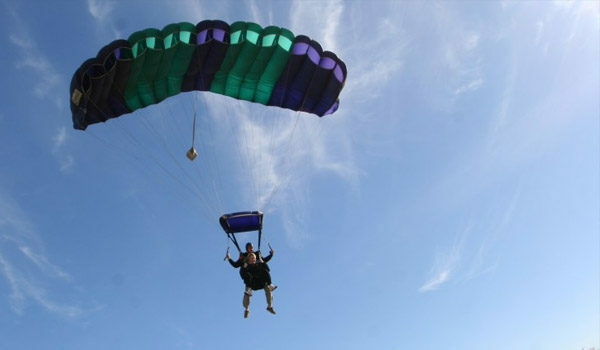 We offer Tandem Skydiving at an airfield on the West Coast of Cape Town. No experience is needed. The only criteria that must be adhered to are that jumpers must weigh under 105 kg and more than 35 kg. A personalised certificate and optional video will serve as a lasting memory of a unique experience. 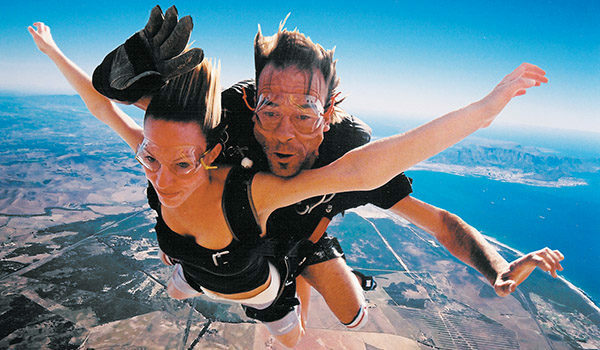 Receive a certificate after your skydiving experience. Do I need previous sandboarding experience? You do not need any previous experience. 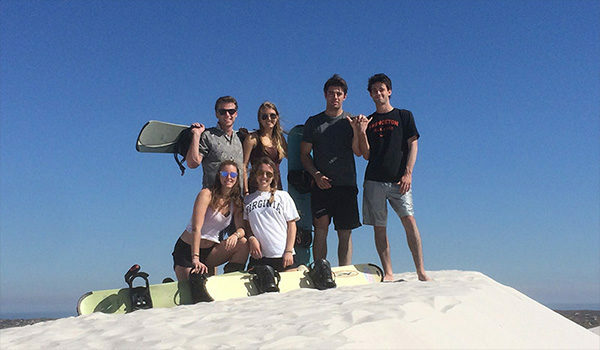 Our experienced guides will have u sandboarding like a pro in no time! How far away are the dunes? We usually jump from 10 000ft but on a good day your pilot may take you as high as 11 000ft!